It can be inferred (without statistics) that Easter is probably the most popular day to go to Church-and thus this blog post’s meditation on the depiction of churches within art history. Today it seems we are even more removed from a time when artists’ efforts were concentrated on the construction and decoration of churches. Churches, once the epicenter of daily life, today seem more symbolic rather than the previous functional role they held as maintainers of the spiritual and physical wellbeing of neighborhoods. 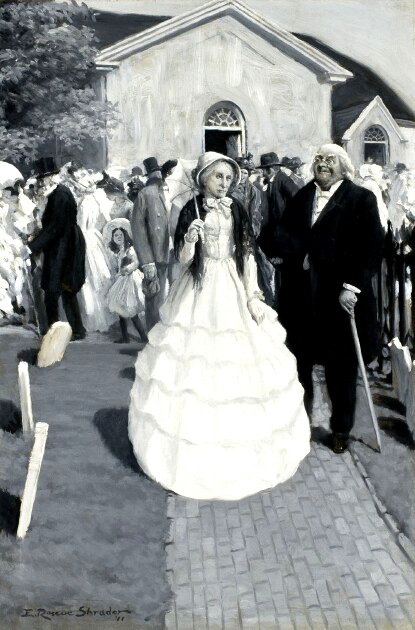 Edwin Roscoe Shrader, An After Church Visit, Oil on canvas, George Stern Fine Arts. Click to inquire. In the same vain as the Grand Tour, where the ruins of pagan temples were once the source of artistic fascination, abandoned churches of today are being converted into museums, homes and roller rinks. 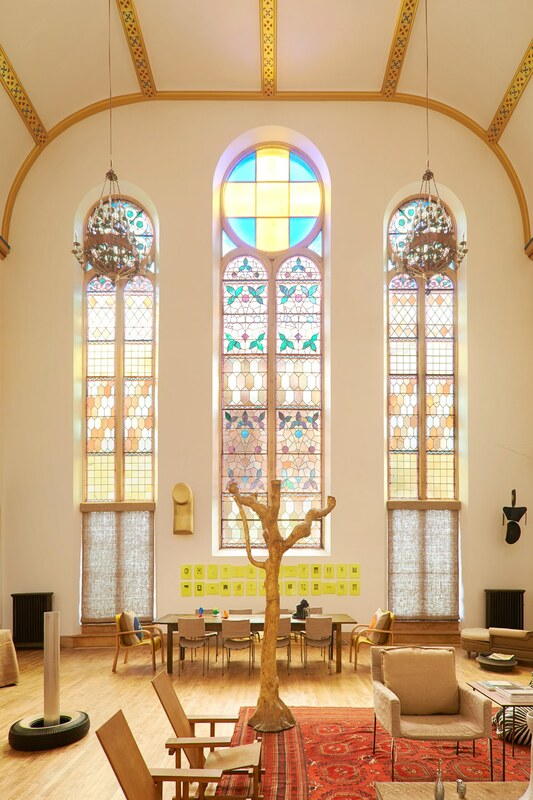 Artist Ugo Rondinone’s Harlem house, converted from an old church, was profiled by W Magazine in 2014. While artists have mainly painted what’s inside a church rather than the outside, churches often are referential to a visitor: a small detail within an artistic vista. Grand Tour paintings often include famous churches as testimony of one’s visit to important historical sites. Artistic documentation of churches additionally reflect the evolution of church architecture as religion has spread and been adopted by local cultures. 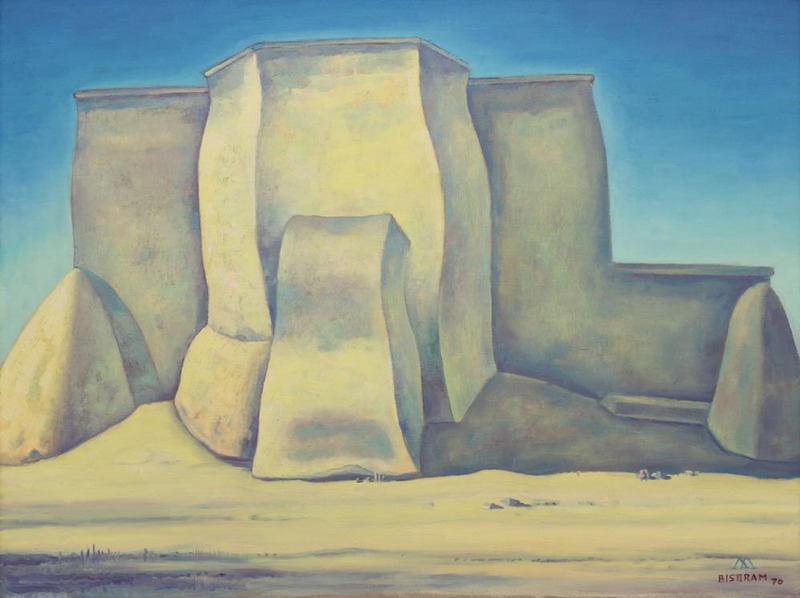 Emil Bisttram, Ranchos de Taos Church, 1970, Oil on canvas. Addison Rowe Gallery. Click to inquire. 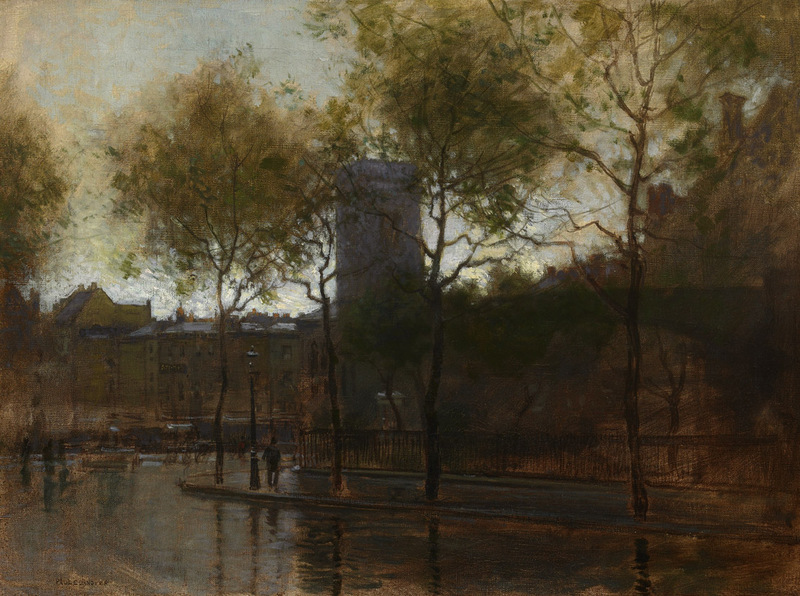 Paul Cornoyer, Cheyne Walk and All Saints Church, London, Oil on canvas, Avery Galleries. Click to inquire. FADA’s inventory of churches demonstrates the nuances of church architecture reflecting the communities surrounding it-and displays the diversity of FADA Member collecting specialities. 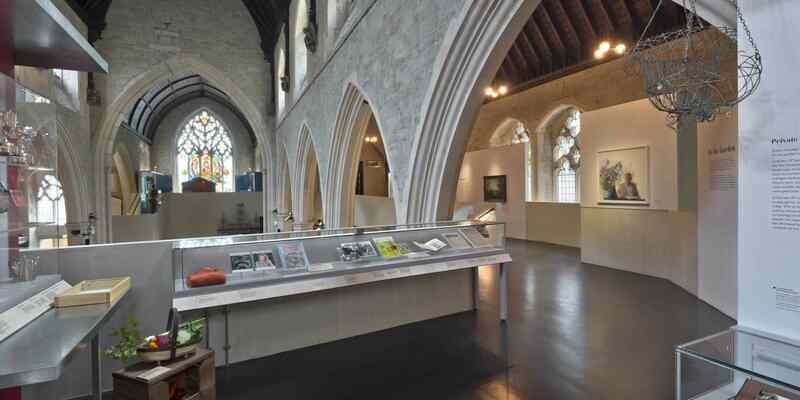 Churches, whether used as a place of exhibition, habitation or worship, are embedded with the unique histories and archives of a community. 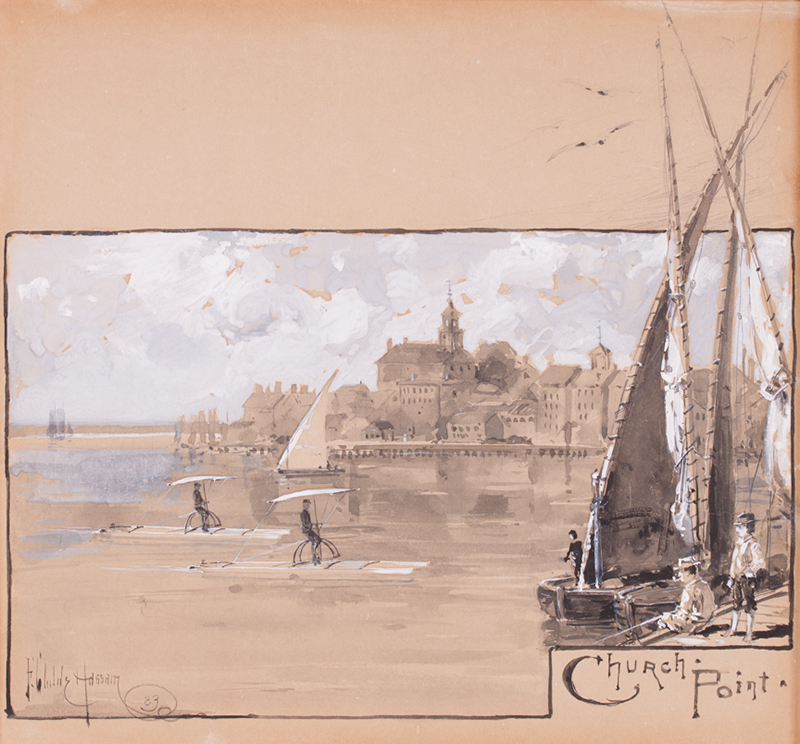 Frederick Childe Hassam, Church Point, Portsmouth, Watercolor on Paper, Vallejo Gallery. Click to inquire. 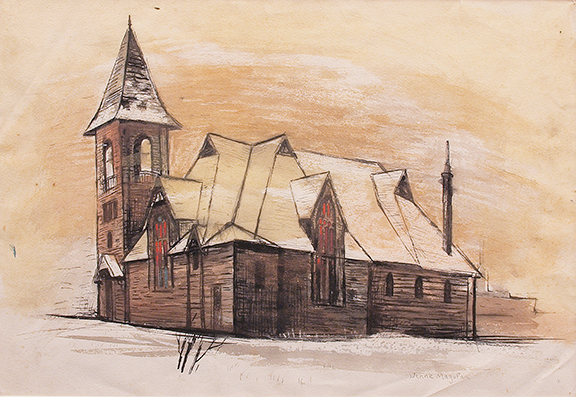 Jenne Magafan, Church in Leadville, Mixed Media, David Cook Galleries. Click to inquire.